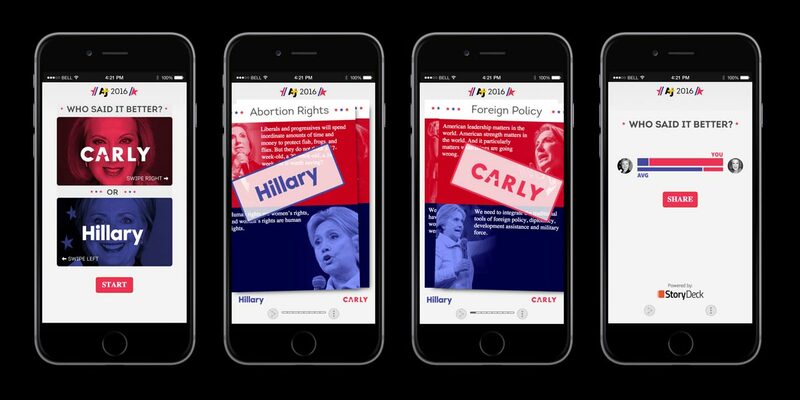 StoryDeck was born out of a hackathon and is affectionately called "Tinder for Storytelling". It is a mobile-native storytelling platform. As the percentage of mobile web users continues to increase, publishers need ways to create experiences that are optimized for the mobile web. Unfortunately this typically just means a responsive website that provides a poor user experience on mobile. StoryDeck is native to the gestures, human factors and design patterns of the mobile web. 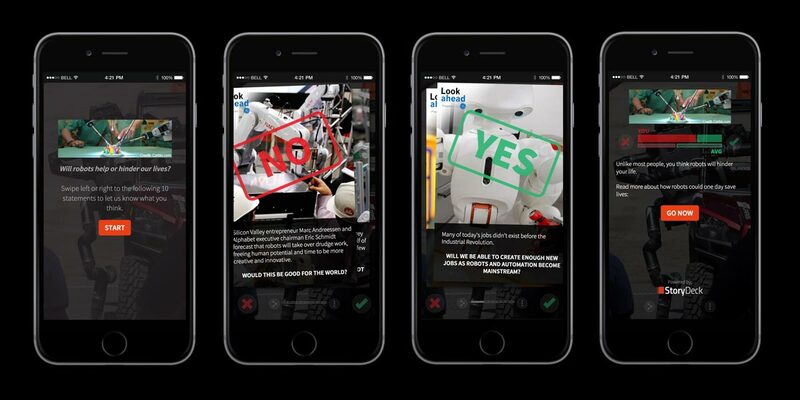 Storydeck is mobile-first, fast storytelling. StoryDecks are based on a series of cards that users swipe through to consume content (text, images, and animated gifs). User opinions are captured via swipes. With this data the platform can then create customized data visualizations, saved card sets, or personalized call to actions. Inaugural StoryDeck clients include AJ+, New York Life, and The Economist.